Two critical components of a healthy lifestyle are regular exercise and a nutritious diet. Recently, the paleo diet has increased in popularity, suggesting we consume healthy, natural foods like fruits, veggies, nuts, seeds, and lean proteins. The paleo diet is highly recommended by nutritionists because it focuses primarily on raw foods and lean proteins. 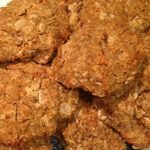 As you read this article, you’ll learn more about the nutrient-rich paleo snacks offered by 180 nutrition. 180 Nutrition takes pride in offering the most nutritious, natural snacks on the market. All 180 Nutrition products are non-processed and gluten free, chemical free, and preservative free. 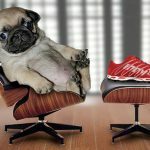 These products are created by CrossFitters and nutritional experts, ensuring you truly get top-of-the-line health food fuel. The WOD bar devised by 180 Nutrition is a name derived from a basic CrossFit term: WOD or workout of the day. This protein bar offers an abundance of nutritional powerhouse ingredients CrossFitters rely on like grass fed whey protein isolate, flaxseed, almond meal, coconut flour, sunflower seeds, chia seeds, sesame seeds, cocoa powder, and more. The whey protein isolate assists in muscle repair after an intense workout and all the other items add vitamins and a nice flavor. 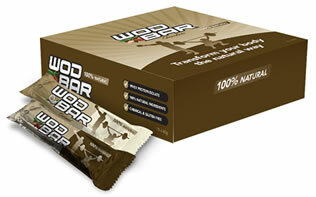 The WOD bars not only taste great but provide undeniable health benefits, guaranteeing optimal results. Similar to the WOD bar, the 180 bar is a healthy paleo-oriented snack that provides fast, essential energy. This bar was designed to eliminate bad cravings by providing instant hunger relief with a satisfying flavour. All the ingredients in this bar are also 100% natural and full of vitamins and nutrients. Clearly, paleo snacks are the healthiest alternatives to sugary, syrupy food products. Whether you choose the 180 bar or the WOD bar, you can be certain you’ll be reaping tremendous health benefits.